© 2017, The Wimborne Clinic | Site by Uprated. How the Neck Pain Story Begins.. Similarly with other pains of the spine, neck and shoulder pain often sneaks up on people without a particular incident that they can recollect that set it off. Without any trauma, the thought it to leave it and it will get better on its own. In a lot of cases who come into our clinic, this is weeks, months and sometimes years before they make a decision to get some help. This creates a sense of uncertainty about why it has happened, and whether something is damaged in your neck and shoulder. The problem with the unknown and leaving it longer means that you start to develop ways of moving to compensate for the problem, which then become part of the problem too! Therefore this leads to more confusion to where the problem is coming from, creating more annoyance and irritation with what to do about it and where to go to get the solution. Within these top tips we will show you exactly how people suffering with neck and shoulder pain can improve it, before it gets much worse! This advice has been followed by many of our patients who we have helped over the years. Our focus is to improve their quality of life with a better nights sleep, less worry about what is going on, more energy and of course less pain. 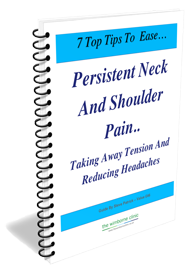 Sometimes it is hard to know where to start, so we have produced this report to get you started, with the peace of mind that we are talking from experience of managing many different neck and shoulder pain. Can you relate to this sense of frustration? A common patient story involves visiting their GP to get an understanding of their problem. This itself often takes weeks rather than days. Pain killers and rest is often prescribed and return in a six weeks to see how you are going. I still don’t know what is wrong! How long will it take to get back active again? Months can pass and nothing has changed with the neck and shoulder pain, and it starts to affect more things in your life. Sleep, activity levels, your mood and the things you enjoy. Does it sound like a familiar story..
Over the collective 40 years of hearing people’s stories or concerns about why their body is letting them down, there has definitely been a common thought, “it will go away” or “why hasn’t it gone?”. Now living in such a wonderful part of the country with so many active things to do, then we have seen many people asking that very question. Often being denied getting back to their normal lives, through procrastination and not knowing where to turn. How Are You Going To Help Me With My Particular Neck And Shoulder Problem? Everyone wants to avoid more risky surgery – and painful injections too! Look Who Else Came For Specialist Physio At The Wimborne Clinic And Left Feeling More ACTIVE, HEALTHY And HAPPY! I had a complicated history of back and hip pain, that was initially thought to be requiring a hip replacement. I went on to see two specialists, and they actually recommended physiotherapy. 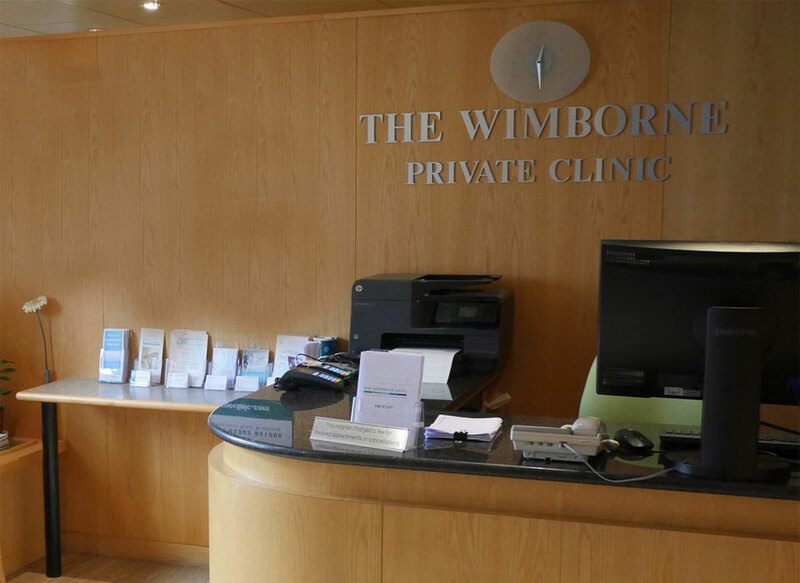 I was advised to come to The Wimborne Clinic, after suffering with continued restrictions to my daily activities. The professional reception the clinic offers and then the treatment which got to the root of the problem and got me back to being active. Most likely you’re looking at this website as you’re looking for another option to solve your neck and shoulder pain. You maybe on a waiting list, uncertain when you will get an appointment for some treatment. Perhaps you have been following the ‘rest’ or take ‘painkillers’ option and feel like you’re getting nowhere fast. You are here, so probably health conscious, and looking for a way to get that transformation back to being active again. Many others have followed this same journey with faster results in easing pain and regaining control of their problem, wishing they had found it sooner. 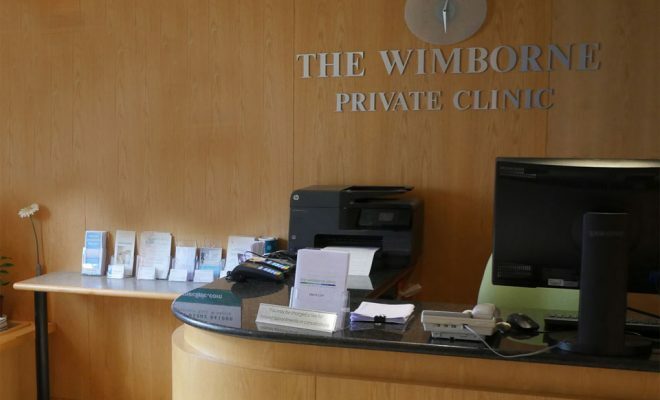 The Wimborne Clinic is designed with comfort and confidentiality in mind. 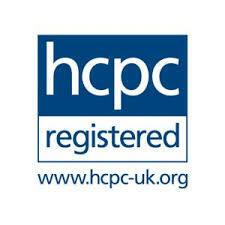 You do not have to be referred by your GP or have private health insurance. Contact us today to make an appointment.